This week, the blog concentrates on the Energy for All project. Energy for All is a network of people addressing specific geographic, technological, and thematic approaches to getting energy to people. In Asia and the Pacific, more than 800 million people still have no access to electricity. Almost two billion people burn wood, dung, and crop waste to cook and to heat their homes. “Energy poverty” is one of the most pressing issues of this century. It’s a problem of technology, of infrastructure, of economics, of culture, and of politics. Access to modern, cleaner energy is essential to improve infant and maternal health, education, and agriculture and ensure inclusive, sustainable development. 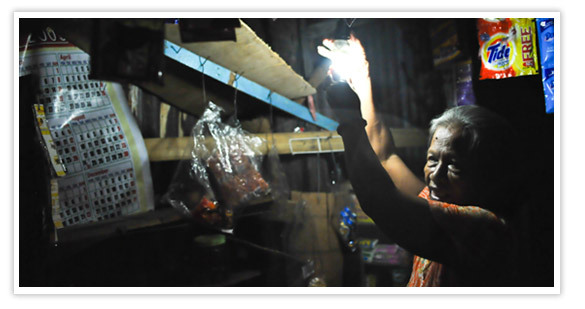 Energy for All has one goal: to provide energy access to 100 million people in Asia and the Pacific Region by 2015. Access to electricity for households - using renewable energy technologies such as micro-hydro, solar, biomass, and small wind power, as well as access to clean cooking fuel, such as LPG or biogas from livestock manure, is just one of their initiatives. Energy for All has a great website where you can get some ideas and inspiration for your MyView entry. You can also download free e-books and watch energy videos. In future blogs, we will have more news about Energy for All.